Have you ever heard that the practice of “forgiveness” benefits the forgiver? I’ve been studying and using forgiveness in my life and I have seen remarkable results in my own health issues and in difficult relationships with close family. The free tapping/EFT Emotional Freedom Technique works in every department of your life…and if you have never heard of EFT/tapping, and you are in pain…please take a few minutes and see this free video that demonstrates this amazingly powerful self-care technique. 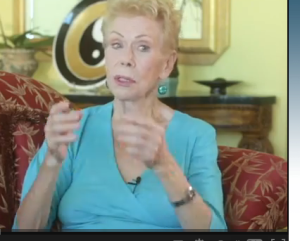 The free video with Louise Hay you’re about to see will explain and demonstrate forgiveness much better than I can put in to words. … imagine all your past pain gone, and in its place, peace. See exactly how it’s done in the short video below as it features a rare interview with the amazing 86 year-old Louise L. Hay, founder of Hay House publishing and NY Times best-selling author, “You Can Heal Your Life”, which has sold over 50 million copies worldwide. 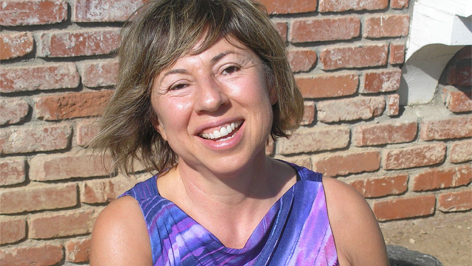 The camera brings you in to her home as She gets vulnerable and uses EFT to overcome a horrendous traumatic childhood event that no one should ever have to endure. She triumphs, and so can you! As you know pain from the past blocks us all from the good life we want…see this free video as it shows you how you too can break through your pain to all the goodness you deserve. Personally, I use tapping and it’s powerful for clearing away negative thoughts and emotions…and I forgive everything…others…myself…yes, even God..
Then I find that the flood gates of life’ goodness flows in. Good ideas…. Helpful people… Opportunities… On and on. Are you ready for YOUR good to come in to your life? “I’m not smart enough”, “Who do I think I am?”, “I’m not lovable”, “I can’t be successful” type of old negative junk from the past. This negative “self talk” severely limits our ability to fully express who we are and live the life we want. In the free video, Louise Hay invites us in to her home as she sits down with Nick Ortner, producer of the upcoming 5th Annual Tapping World Summit, and shares why she believes Tapping is such an important self-care technique and why YOU should use it. Through this video you’ll also learn Louise’s secrets for using Tapping to allow forgiveness, love and self-acceptance into your life, so that you can be free of the things from your past that are holding you back. Here’s to the amazing life you deserve! Feel free to share this with all of your Facebook friends. They will love it and benefit too.